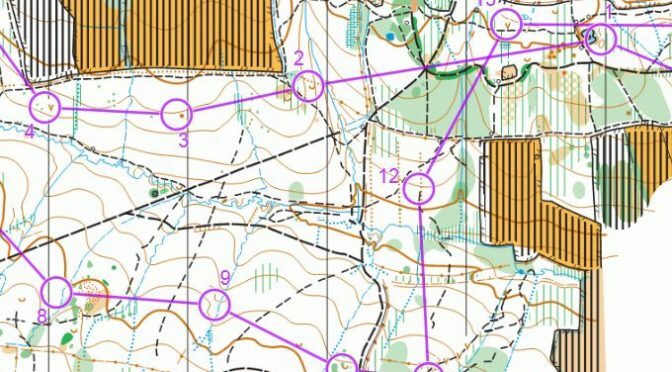 South London Orienteers welcome you to orienteering races on February 18th, on Holmwood Common and Scamells Grove, three miles south of Dorking. This is a British Orienteering Regional (Level C) Event. There is a choice of eight individual colour-coded courses: Brown, Blue, Green, Short Green, Light Green, Orange, Yellow and White. We have a new map, at 1:7500, to the ISOM2017 standard. The woods are mostly natural, and on gentle slopes. There is a good path network, lots of vegetation changes, and many streams, ditches and gullies. 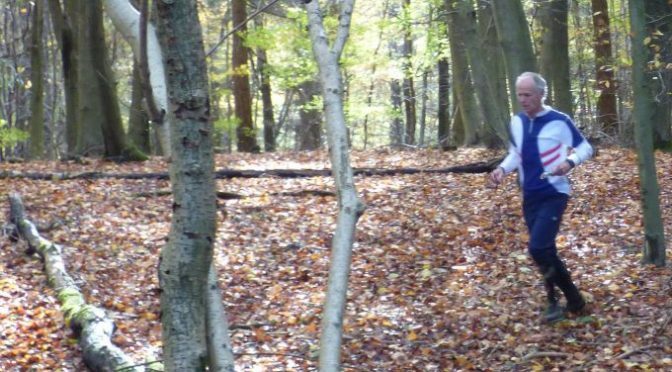 Longer courses visit an area of runnable forest new to orienteering. Courses are planned to avoid the worst of the brambles and undergrowth. NO DOGS please – the assembly and car park is on a working cattle farm. Pre-entry via SI Entries please. Closing date is Sunday 11 February. Entry-on-the-day (subject to map availability): as above plus £2 for seniors. Runners will need a SPORTident timing chip. A small extra fee is charged to seniors to hire a standard chip from SLOW: £1 for seniors (free for juniors). Contactless SIAC punching will be enabled, and contactless SIAC chips may also be hired – £2.50 for seniors / free for juniors. Lost timing chips will be charged at £40 standard, £60 contactless. The nearest stations operating on the Sunday are Dorking and Dorking Deepdene, approximately 4 miles north of the event. Start and finish are within 1km of the parking. Parking is on hardstanding, but Wellington boots are suggested. Please check the SLOW website prior to travelling in case of any last minute changes. The personal data you give will be used by the event organisers and their agents only for the purpose of processing and publishing the event entries and results, for conducting safety checks and to validate British Orienteering insurance cover. Please note that if you have competed in three orienteering events registered with British Orienteering and not joined an orienteering club which is a member of British Orienteering, you are not covered by our public liability insurance. 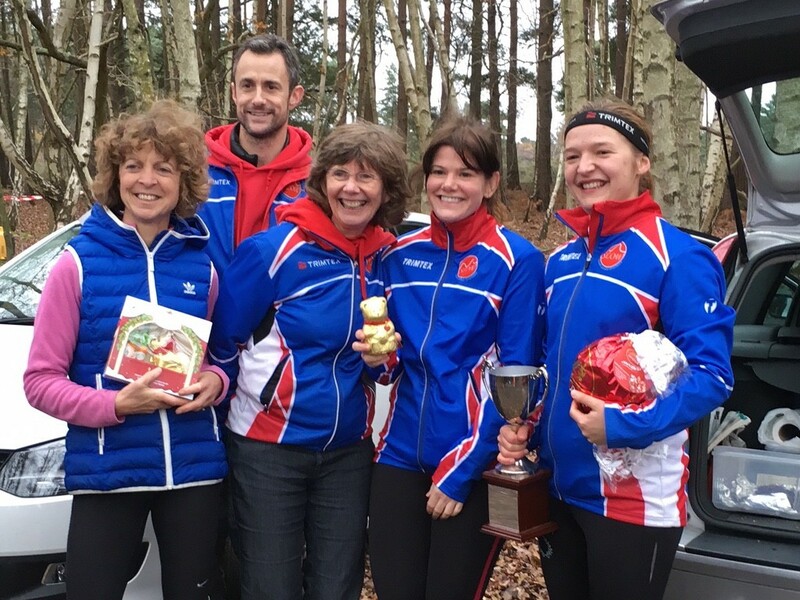 If you are not a British Orienteering member, for insurance purposes you will need to leave your contact details with the entry team. Orienteering is an adventure sport. A comprehensive risk assessment for the event has been prepared and identified risks have been mitigated, however please be aware that participants take part at their own risk and are responsible for their own safety during the event. Please be careful of crossing streams/ditches, steep slopes, etc. Parents are responsible for their children. Advice is available on request about what courses may be suitable. The Final Details are linked to this later post. SLOW’s annual “OK Nuts” Trophy Races will be on January 21st in Richmond Park, London. The title comes from the name of one of the early orienteering clubs in the UK. There will be three mass start loop races (20km, 15km, 10km) and shorter colour-coded individual start races. The mass start races are called “Blood Races” in a reference to the annual ‘Blodslitet’ races of Fredrikstad Skiklubb in Norway, which use this format. “Blood” in the name is a metaphor for the increased physical challenge, compared to a typical orienteering race. We welcome newcomers to forest orienteering; this event is a very good introduction to our sport. 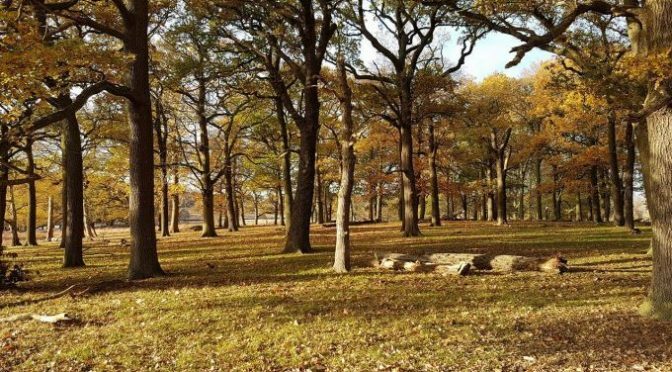 Please do look at our webpage Newcomers , and do check an orienteering map in particular to see the way woods and heathland are shown. Richmond Park is a National Nature Reserve, London’s largest Site of Special Scientific Interest and a European Special Area of Conservation. It is a Royal Park, and its 2500 acres are covered by heath, grassland and woods. External link to recent films about the park. Entry via SI Entries please. Closing date is 14 January. Entries after the closing date of 14 January will be £2 more for seniors and £1 more for juniors, and will be limited by how many extra maps we have. The race is based at the Broomfield Hill Car Park. Car parking is free. The 85 Kingston – Putney bus stops nearby (also K3, 265) – enter the park either at Ladderstile Gate or Robin Hood Gate and it is a few minutes walk. The nearest station is Norbiton, at approx 2km. All club members are welcome to the club championships on Saturday December 2nd. These are a separate part of the Southern Navigators event at Wisley that morning. We have a run, and we have a picnic, comparing our runs if we want, and we have a prizegiving. Please see Paul Couldridge’s Facebook Event in the SLOW members group for details. The nearest station is West Byfleet (trains from Waterloo take 30 minutes) approximately 4km from the event centre at the Royal Horticultural Society Wisley Garden. Or do use the Facebook Group to seek a lift. Please reply by Sunday 26th November at the latest. Wisley Common is a nature reserve of lowland heath on acidic sandy soil designated SSSI and managed by the Surrey Wildlife Trust. It lies between Surrey’s main two interior rivers, the Wey and the Mole. These days it is more easily identified by proximity to M25 Junction 10, where the M25 London Orbital Motorway crosses the six lane A3 London-Portsmouth road. 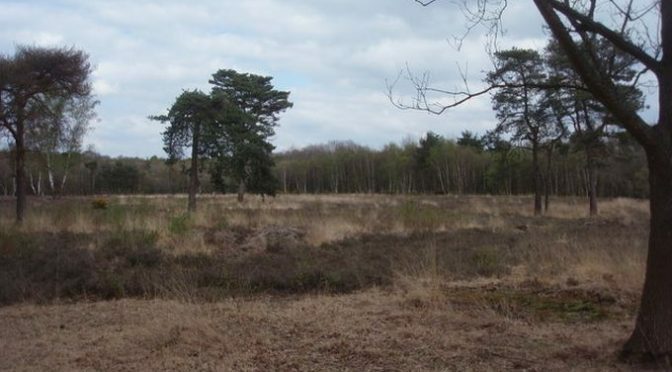 The terrain is heathery heath and natural woodland with many paths and some stretches of metalled road. There are many ditches, some slopes, and some areas where going is more difficult. Some of the ground will be quite wet if it has rained, and in places there may be some shallow water to run through. The A3 was one of the principal routes in Britain in the days of the stage coach, as it linked the capital and the main base of the Royal Navy. Elsewhere “the Portsmouth Road’s” route is much changed but it has passed Bolder Mere, as it does today, for many centuries. In the later nineteenth century it was part of the most popular bicycle outing in southern England, the ride out from London to the old coaching inns of Ripley. The very heavily used M25 is a relative newcomer. Long in the planning, the sections here were among the later sections completed in the 1980’s. The Royal Horticultural Society were gifted Wisley in 1904 by a wealthy Quaker, Sir Thomas Hanbury. Its 240 acres of gardens are the second most visited paid entry garden in the United Kingdom, with a million visits a year. The gardens and laboratory employ 90 people. Thanks to Chigwell Orienteering Club for today’s final race in the SLOW Autumn Series. 18 SLOW runners made the trip to the north-east of London, with Paul Couldridge winning the longest course. So he will take the SLOW Autumn series and with the maximum possible score. Final scores for everyone will be posted once Ranking Points have been allocated. 1.Paul Couldridge 60:30; 15.Ollie O’Brien 76:15; 17.Yordan Kolev 77:58; Kwun Him Himmy Lau 106:44. 14.Andy Robinson 85:20; 17.Fiona Tam 88:45; 20.Camille Roux 97:58; 25.Mélanie Roux 118:00; 26 Nicolas Roux 126:01. 27.Keith Davies 66:30; 28.Don McKerrow 66:34; 29.Sue Carter 68:39; 39.Théophane Roux 75:12. 18.Olin Davies 52:27; 22.Chris Robinson 53:01; 46.Christine Glew 73:57. Updated version: because ranking points for Bucklebury have become available. On Sunday, at Wormley Woods near Broxbourne, the final race of the SLOW Autumn Series happens. The last four Sundays have been the other races in the series, at Epsom Downs, Ambersham Common, Highland Water and Bucklebury Common. We all decided that we would use BOF ranking points to compare runners, and then use a 100-99-98-etc scale to award points, with best 3 of 5 to count. All just in time for the AGM. Unfortunately, last Sunday’s Berkshire Orienteers’ Bucklebury has not had the best of luck, although the woods were lovely and the weather was good if not so warm. As of Wednesday evening the results are not uploaded to BOF and ranking points are not available. The whole point of having a series is to have the light-hearted comparisons, and maybe create a little bit extra to the race for those going on Sunday. we have used relative speed in mins/km (adjusted for height gain) to enable scoring of last Sunday. Update: (Thursday morning) Results were uploaded about midnight last night and ranking points calculated overnight. There is little change to scores based on estimation (which have been left in the attached pdf for interest) – Simon and Dorte have swapped the 94 and 93 scores. We are setup with some interest for the last race, with several folk likely to add a third run, or to improve an earlier one. At the top of the table with Paul’s fast run at Bucklebury not counting because of a missing control (of which there were quite a few across all runners) Yordan leads overall. But Paul and Ollie are pre-entered to get their third scoring runs, and have a fair chance (Paul‘s is better than Ollie‘s.) Dorte looks a safe bet for leading woman, and Olin has probably done similarly in the junior comparison. In the body of the table plenty of places can be won, and you can spot several “local rivalries”.